Members get a $4.00 discount on this item at check out. This award-winning documentary tells the deeply moving story of South Korean pastor Lee Jong-rak and his heroic efforts to embrace and protect the most vulnerable members of society – abandoned babies. It is a heart-wrenching exploration of the physical, emotional and financial toll associated with providing refuge to orphans that would otherwise be left on the streets. 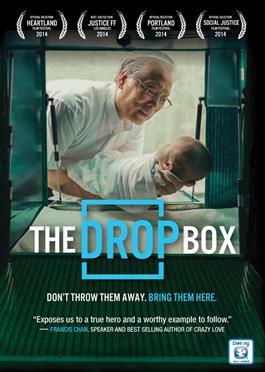 But The Drop Box movie is also a story of great hope—a reminder that every human life is sacred and worthy of love. Beautifully told.